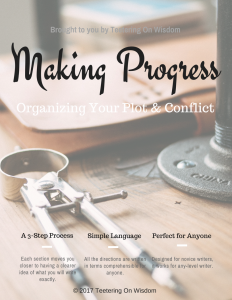 The editing process should never begin before you finish a draft! Just write. Then go back and surmise at how horribly awesome your writing is. (Yes, it is awesome because it’s telling a story like no one else can.) For some people, this can be a dread; you are looking for all the ways you messed up and changing what you’ve fallen in love with during the creative writing process. For some people, it’s a relief; now you know that your story is better than it was before and that you have a chance to be published. It really just depends on how the person handles criticism. But, whether you love or hate the editing process, there are probably similar things that you’ll find. Personally, I believe that novice and professional writers have some of the same errors in their first draft; professionals just know what to look for and how to correct it. Well, novice writers, I’m here to help you figure out some of the basic errors that professionals suggest you cut to make your writing better. Granted, I am a novice creative writer and my stories are probably no better than yours. However, I teach writing and know how to identify these things in others’ writing. Though I probably write them in my work just as much as a novice, I know how to weed them out like a professional. Yup, I’m awesome (or so I’d like to think). The links referenced below are not owned by me. I do not represent their views, nor do they represent mine. I just find them useful for this topic’s purpose. Check out my terms and conditions to find out what I mean. In any kind of writing–technical and creative–this tends to be a no-no. Nevertheless, we see it everywhere. People who want to sound more “sophisticated” tend to use it more to be fancy. For some reason, when we add more words to something–even if it doesn’t add to the content–we seem smarter. Weird right? Well, passive voice can be so wordy that it makes things confusing. The objects and subjects get moved around, then you can’t figure out who’s doing what, then you get frustrated, then you skip it, then you don’t get certain stuff later…it becomes a mess. You should never have the passive voice in your writing (unless it’s dialogue for characterization). Always use active voice! Yeah, got it. How can I tell the difference? You have the subject, predicate, and object in a sentence. The subject (main noun) is doing something. The predicate (verb) is what the subject (noun) is doing. The object (noun) is what the subject is doing something to. Passive Voice – The new street was being trampled on by the parade. Notice that the street is not doing anything; that’s how you know it’s probably an object. That means that the parade, and what it’s doing, should come before it. Like this. Active Voice – The parade trampled down the new street. You have the subject of the sentence doing something to the object. That is much more clear than explaining how the object is having something done to it by the subject. (Notice how confusing that was at the end there. Yeah, avoid that). Passive Voice – The student was devastated by the test results. 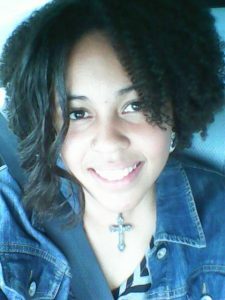 Active Voice – The test results devastated the student. Nice, clean, straight to the point. The student isn’t devastating anything, (s)he is being devastated. …if the noun has something being done to it (object) in the sentence, it’s probably written in passive voice. You want your main noun to do something (subject and predicate), not have something done to it. One helpful tool you can use is the HemingwayApp program (free). It’ll find the adverbs and passive voice for you! It won’t tell you how to correct it, but it does make the identification process so much easier! While passive voice is agreed upon as bad in writing— oops, scratch that. While writers agree that passive voice is bad in writing, adverbs are a little more debated. (Much better.) Many professional writers suggest you delete them. However, others say they’re okay–in moderation. You know how adjectives describe nouns (the blue ball)? Adverbs describe verbs (bounced quickly). Personally, I see nothing wrong with that. But, for the sake of imagery and mood, many writers suggest describing actions in more vivid ways. If you have the option to use more imagery instead, do so. Unless your writing style is just that simple. With an adverb – The woman turned on her heel quickly. With imagery – The woman pivoted on her like a top spun out of control. Notice the figurative language to create a familiar image. And, the stronger verb that better indicates the action. You want to use those kinds of things that embed and imply the moment rather than just tell the detail. With an adverb – The child played happily. We can imagine a child and happiness as they play. But, for every child, that can look different. Show us what that would look like in this case. With imagery – The child smashed toys on the carpet around itself with shrill sounds of glee and amusement. Not only is the child happy, we can hear the happiness and see how (s)he is playing. …if it ends in -ly (typically an adverb, but not always), evaluate whether there’s a way to describe that with stronger verbs and vivid figurative language. Grammatically, these are the top two errors to look for when you start editing your drafts. You want your writing to be clear and engaging. Help us to experience everything, but don’t give us a headache. Now, that’s not all that you need to look for in your editing. 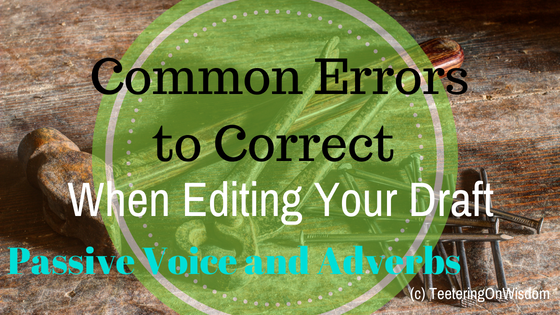 There are still three more common errors that I find writers make–including myself–in their early drafts. Until then, how do you notice when you use passive voice and adverbs? How do you fix them? Do you think your writing is better or worse for it? Let us know below and on social media. Along with that, don’t forget to sign up for other tips and topics about writing and reading with the Writer’s Wisdom bi-weekly newsletter. What Exactly Do I Put in a Poetry Journal? Thank you Ashley for the great education. You are a great teacher. Cheers! Thank you for reading, Andrew! I’m proud that you find my work useful and I hope I can provide more articles that do just the same! For unexplained reasons, my 1st drafts are always filled with these two grammar mistakes. I haven’t been able to figure out why though because I don’t do it that often when I speak. For the average person, how we speak and how we write are very different. We’re more wordy when we write and more brief and blunt when we speak. In the same way, we’re taught to use adverbs for quick description; but for creative writing, it’s “forbidden”.